This Man Who Robbed a 12-Year-Old Boy, Do you Recognize Him? 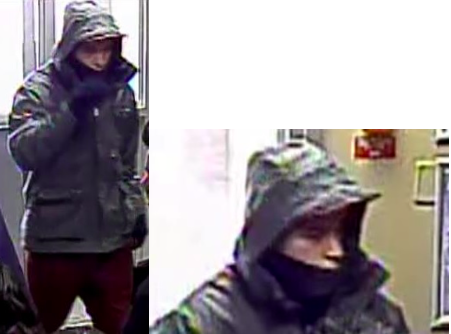 WINNIPEG - Police have released photo's of a man wanted in connection with the robbery of a 12-year-old boy. The boy was on his way home, February 11th, from a store on Euclid Avenue, in the North Point Douglas area. The suspect grabbed the boy from behind, choked him, punched him in the upper body and threw him to the ground before demanding money. The boy gave the suspect a financial card belonging to his mother and the suspect took off. The suspect is described as a male in his 20’s, approximately 5'9", with an average build and black hair. He was wearing green/blue gloves. Police are asking anyone with information that may assist investigators is asked to call 204-986-6219 or Crime Stoppers at 204-786-TIPS (8477).